Rookie Bluecoats member Sarah Bailey, is featured in a recent Daily News Journal article outlining an upcoming performance with a local Murfreesboro, Tenn. performing arts group, Percussion XS. Read about her accomplishments. 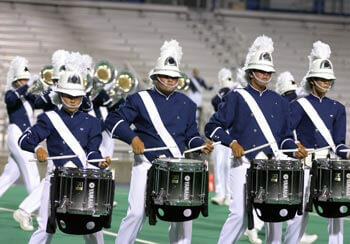 Murfreesboro's Middle Tennessee State University will once again be the site of the DCI Masters of the Summer Music Games major event on Friday, July 28. Don't forget to order your tickets today.